Krys Barch figured his best shot at an NHL career was to do the things others preferred not to. Over 200 big-league games later, the blue-collar forward's decision has paid off better than he could have ever hoped for. There was never any doubt he could play the game. With the Ontario Hockey League's London Knights, Barch did just about everything. For one, he was a good skater. He could also score, too, netting 23 goals and 49 points in just 56 games in 1999-2000, his final season with the Knights. Show a physical side? Not a problem. Still, Barch, who hails from hockey-rich Hamilton, Ontario, knew he'd have his work cut out to make it to the NHL ranks. It was anything but a slam dunk for Barch. After skating in the American Hockey League (AHL) with the Portland Pirates in 2000-01, Barch split his time between the AHL and the East Coast Hockey League the following campaign. Following a 36-game season with Portland in 2002-03, Barch decided to take a year off, a chance to take a forensic look at his career and future plans within the game. 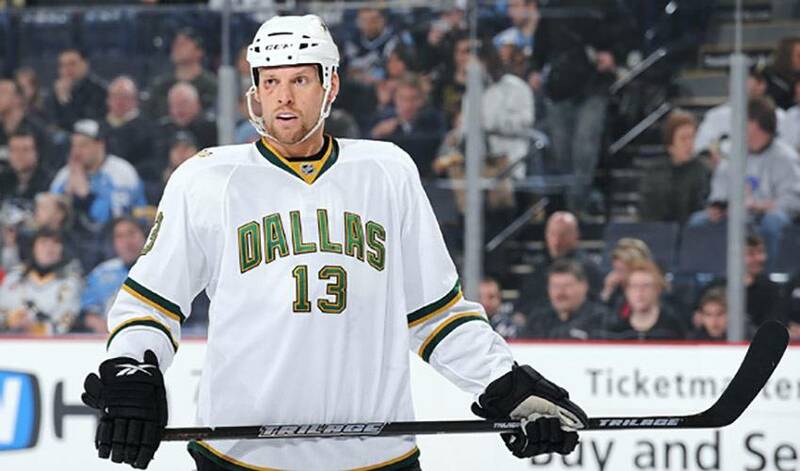 Though he had dropped the gloves sparingly prior to signing as a free agent with the Dallas Stars on July 18, 2006, Barch decided the best strategy, at least for him, was to do the work that most athletes might shy away from. Taking on other team's tough guys, riling up the opposition through hard hits and dogged forechecking – Barch pretty much did it all. And people took notice. “It really is the same old story you've heard before,” said Barch. “I think when you work hard, that you are honest in your approach, show a passion for the game and are willing to continually learn, it makes a big difference in how other perceive you. And while his role doesn't garner the glory as some of his teammates, Barch isn't worried about the spotlight. Though there have been and will be games where he'll drop the gloves, Barch doesn't have any explaining to do when he walks through the front door at the end of the night. A career that Barch is absolutely thrilled with. Look for more of the same grit and gumption from Barch in 2010-11.